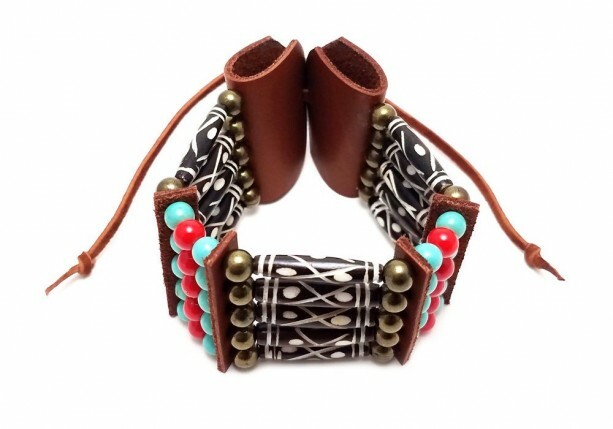 - Made from authentic water buffalo bone hairpipe beads, 6 mm round synthetic beads, 6 mm round brass beads, and genuine leather. 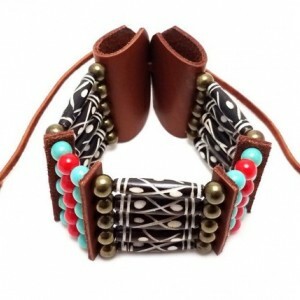 - Length: 8.5 inches (measurement does not include the leather tie). 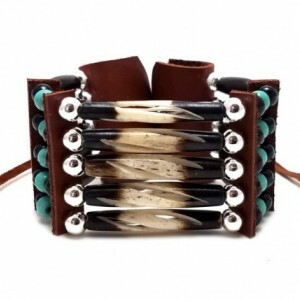 - Easily adjustable leather tie. 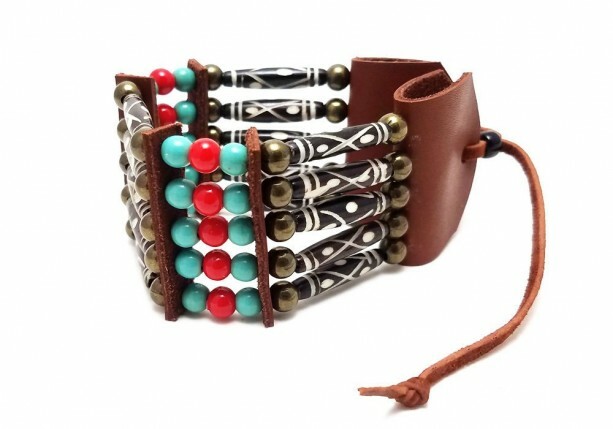 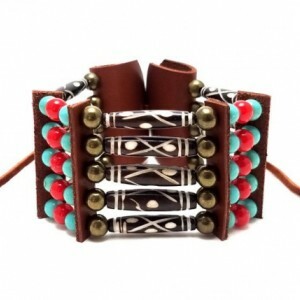 - Traditional 5 strand tribal bone bracelet. 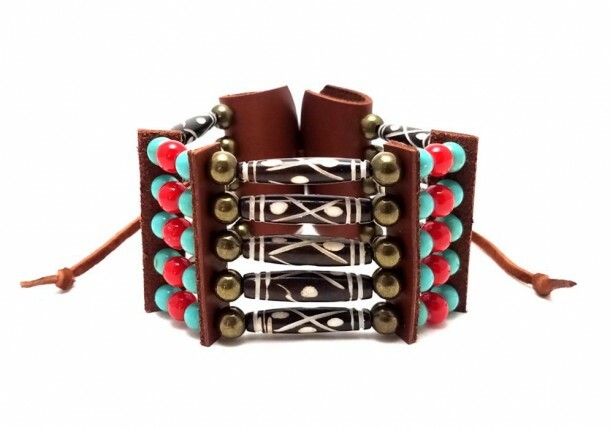 - Handmade in the United States.